Our real estate law practice is committed to being a full-service legal resource for our commercial and individual clients. This approach allows us to serve commercial development companies, business entities, investors, and individuals and families involved in a wide-array of transactional and litigation matters involving real estate. We assist clients with matters ranging from complex multi-million dollar commercial real estate transactions to drafting and negotiating single tenant leases. We are also prepared to initiate and carry forward litigation on real estate matters in the event it becomes necessary. 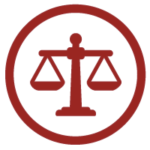 Please contact us if you would like to schedule a one-hour consultation with one of our attorneys. Our real estate services are offered to clients on an hourly billing basis due to the custom nature and complexity of these services. Attorney work product will be billed at an hourly rate of $315, and work produced by professional staff and clerks will be billed at an hourly rate of $150. These advertised rates may be negotiated further in the engagement agreement.